When restoring antiques and collectibles, expert Rick Dale emphasizes using as many old, authentic parts as possible in the same way his American Restorations team approached their projects on the History Channel program. Even though most of us won’t be tackling anything as extensive as his business, Rick's Restorations, this advice is still good for minor to moderately difficult projects. For instance, you might be able to find older metal lids for your kitchen glass jars from time to time if you’re really diligent. And in this instance, having an old lid appropriate for the jar will make it more valuable. Likewise, there are home restoration or furniture projects where original lighting or hardware will always be preferable. Of course, there will also come a time when it’s just not feasible to find a vintage part. You’ll discover that they’re either as scarcely available, or it just doesn’t make sense to spend the time and effort hunting down an object like a rubber plug for an old ceramic piggy bank or an original door hinge. The value of the bank or the door doesn’t lie in the plug or the hinge, in other words. With projects like these​ and many others, you might find yourself looking for resources for replacements designed to perfectly mimic a vintage part. 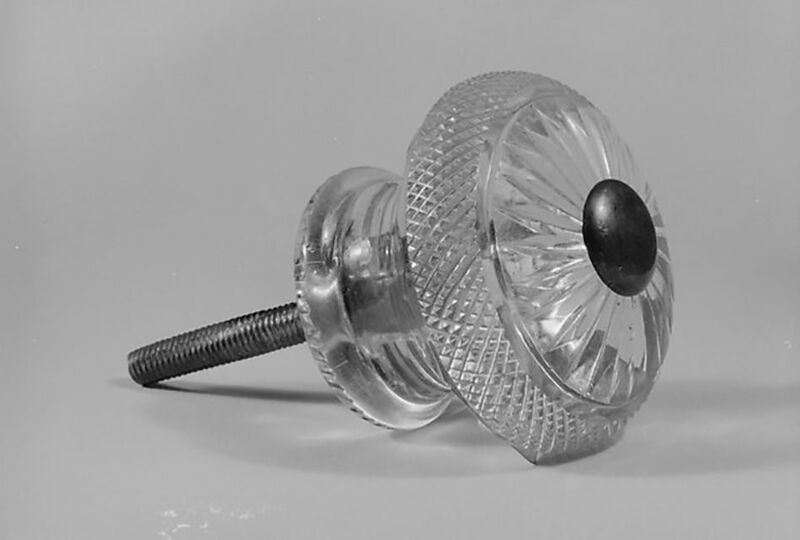 Follow the link above to Kennedy Hardware, a site chock full of restoration supplies including replacement jar and shaker lids for old Depression-era glassware and vintage kitchen wares. This includes the traditional salt and pepper shaker lids so often missing or in poor shape as well as covers for spice jars and sugar dispensers. Lots of other varied hardware and furniture restoration supplies to browse here as well. While it’s better to replace parts with age-appropriate originals made by the manufacturer who produced your antique doll, a task like this can take years to accomplish. Especially if you’re restoring a family heirloom instead of repairing a doll to resell, it could be preferable to complete the project sooner rather than later. The link above will take you to Little Doll Shoppe, a site offering all types of parts and can work with you to make what you need if it’s not readily offered for sale in their catalog. Once you’ve determined the furniture style you’re restoring, from Chippendale to William & Mary, you can easily find replacement brasses, knobs, and pulls through Horton Brasses Inc. by clicking on the link shown above. They even have hand forged iron latch sets and hinges in a number of sizes to choose from along with the traditional metal pulls and knobs found on many types of finer antique furniture. From door hardware to lighting and electrical, if you’re restoring an old home you’ll probably find what you need at House of Antique Hardware by clicking on the link above. They even have window hardware. Additionally, furniture hardware styles available here include Victorian, Colonial, and even Mid-Century. If you’re restoring a lamp or replacing a broken part, this is definitely the site to visit. From kerosene lamp parts, including replacement chimneys, to shades and components for electric lamps of all ages, Antique Lamp Supply linked above is a one-stop shop. They even have old-timey light bulbs and chandelier replacement parts to choose from. Click on the link above to visit Rubber Age L.M. Mfg. Inc., a site containing products this company manufactures in the United States (which is important to many folks looking for replacement parts these days). And with a variety of sizes and colors available, not to mention reasonable prices, this is a great resource for replacing those worn out and crumbling rubber stoppers for all your figural salt and pepper shakers and piggy banks.